When it comes to looking your best, cats are pretty good at taking care of this for themselves. They can spend hours grooming their coat and just when you think they are done, they start all over again! This does not mean that you can ignore your grooming duties. Whilst it’s true that cat owners will have less work than dog owners, there’s still plenty that you can do. Grooming is not just about appearances. Regular grooming sessions with your cat are also very good for their health. Brushing promotes a healthy coat. Nail trimming is essential to keep them at a manageable length and dental hygiene is always important. You also get up close to your pet when you are grooming them and this gives you the chance to spot wounds, infections, lumps and bumps that you may otherwise miss. This means that you can get prompt veterinary treatment when needed and hopefully nip any health issues in the bud. So, where do you start? Here’s our ultimate guide to cat grooming that contains all the information that you need to know. Cats shed hair continually and some of it is removed when they groom themselves. Your cat will swallow hair as they lick their coat and this forms hairballs. Whilst this is perfectly natural, it is quite unpleasant for you and your cat when they vomit them up. Most owners would prefer to avoid hairballs as much as possible and regular grooming can help with this. Grooming also helps to distribute oils that keep the skin healthy and prevents the coat from getting matted. The skin gets a gentle massage which increases the circulation. Whilst you are grooming your pet you will be able to spot skin issues and infestations of fleas or ticks. Finally, regular grooming will cut down on the amount of cat hair that ends up on your sofa, bed and chairs so that means less housework for you! You can use a grooming brush, a grooming comb or a grooming glove. This is a matter of personal preference. Some cats prefer a grooming glove as it feels just like being stroked. However, for a cat with a long coat, you may find that a brush or comb is more effective. Start when your cat is as young as possible. Cats that are groomed from when they are kittens soon learn to love it. Short sessions are better than long ones and always stop if your cat becomes distressed. Make sure that the room is quiet and that there will be no loud noises that could startle your cat. Start with gentle strokes on one part of the body and work your way up towards a full body groom. Always brush in the direction of the hair growth and take special care around delicate areas such as the eyes and ears. Some cats appreciate a tasty treat after a grooming session. You may need to brush some breeds with long coats daily but a weekly brush will be enough for short-haired breeds. That is a very good question because most cats will not enjoy it. Most of the time, it will not be necessary because cats wash themselves. However, there can be occasions when your cat has got something very sticky or even harmful on their coat and you need to help them get it off. Bathing a cat should only be done in exceptional circumstances and should not form part of your regular grooming routine. You will need a special type of cat shampoo. It is not safe to use human shampoo on cats because it will dry out their skin. Human shampoo is often highly perfumed and could cause irritation whereas pet shampoos have a carefully controlled pH and are usually made with natural ingredients. There are different types of pet shampoo available. There are cleansing and deodorizing shampoos and there are conditioning shampoos for cats with dry skin. There are also special shampoos for controlling fleas or ticks and others which cut down on shedding and therefore control hairballs. Don’t use a dog shampoo unless it specifically says on the label that it is suitable for cats too. Some dog shampoos are actually dangerous for cats. You also need a towel that will dry your cat off quickly. Microfiber towels are a good choice as they absorb a lot of water quickly and are easy to wash and dry after the bath. You need a jug for rinsing and a rubber mat to place in the sink to stop your cat from slipping. 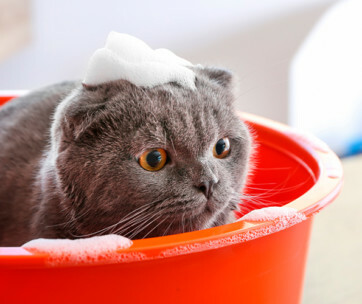 Remove as much dirt as possible before the bath by brushing your cat with a suitable brush. Then fill a bath or sink with a few inches of warm water. You may need the assistance of food treats and another adult to help you. Even with this help, you may find that your cat gets extremely distressed and starts to bite and scratch. At this point it is best to stop and consult a vet or professional cat groomer for advice. If you do manage to get your cat into the bath, apply some warm water and cat shampoo to the part of their coat that is dirty. If you have to wash their whole body, avoid the head area. Only ever clean their face with a damp towel and never dunk their head in water. Do not get water into their ears. Rinse using the jug of warm water but cover their eyes and ears. Then apply a conditioner if you need to. Thorough rinsing is essential otherwise they will ingest the shampoo or conditioner when they groom themselves. Finally, let them shake off excess water and stroke them with a towel. Don’t be tempted to use a hairdryer as this will scare them. In the wild, a cat’s nails would naturally be worn down by scratching hard surfaces and by hunting prey. These days, cats lead a more sedentary lifestyle and need a little manicure every now and again. 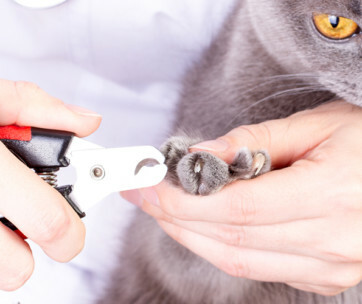 Indoor cats are especially likely to need their nails clipped. Trimming your cat’s claws will mean fewer injuries for you when you interact and play with your kitty. Cat scratches can be very painful, even when they mean no harm. Also, by cutting your cat’s nails, you reduce the damage that they can do to soft furnishings. There are benefits for your cat too. When their nails are too long and too sharp, they easily get caught in things and get torn out of the paw. That is very painful and uncomfortable for them. 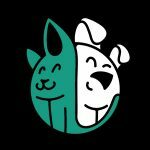 You can get a professional cat groomer to do this for you if you would prefer but you can also learn how to do it yourself. You need a nail clipper that is designed specifically for cats. It has to be the best quality that your budget will stretch to because you get what you pay for. Think about choosing a product that is easy to use so you can get the task completed quickly! Don’t make the mistake of thinking that you can use a dog nail clipper on a cat. They are not the same thing and you could cause an injury. The same rule applies to human nail clippers. Only buy a clipper that clearly states that it is for feline use. It helps if you start clipping your cat’s nails when they are a kitten so they can get used to it. You may want to ask another adult to assist you. The first step is to get your cat used to you touching their paws. They may not like this at first. Whenever you are petting them or when they are curled up on your lap, gently touch their paws. Once they are comfortable with this, you can introduce the clippers! Let your cat get used to them for a while. Let your cat smell them and have a good look at them. Then take the clippers and gently touch their paws with them. Look out for signs that your cat is becoming uneasy with the situation. This could be folded back ears, their tail swishing violently or swiping with their paws. If this happens, stop immediately. You can start again in a few minutes. Practice on all four paws. Now progress to squeezing your cat’s paws gently so that the nails are exposed. If they are comfortable with this, you can have a go at clipping the sharp tip off just one nail. Remember that you only need to remove the tip. Don’t try to cut further down the nail as this is not necessary in cats. One nail may be all that you can achieve at one go! It could take you over a week to complete the job but stick with it because it will be worth it in the end. Plaque will build up on a cat’s teeth just as it does in humans and dogs. If it is allowed to harden it will eventually form tartar which will irritate the gums. Gum disease and the loss of teeth can be the result. Regular tooth brushing will help. However, if you have noticed any signs of dental disease in your pet, you must take them to your vet. Typical signs of gum disease in a cat are bad breath, red or bleeding gums, a yellowish-brown coating on the teeth and drooling. You need a toothbrush that is designed just for cats. Cat toothbrushes are a completely different shape to human toothbrushes. 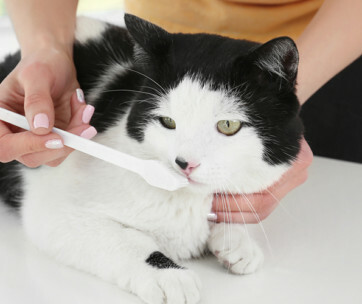 You need one toothbrush for each of your cats because they can spread infections from one cat to another. You also need a specific cat toothpaste and they are available in flavors such as chicken and malt. Never use human toothpaste in your cat’s mouth as it could be harmful. Nevertheless, with the best will in the world, some cats will never get used to having their teeth cleaned. If this happens to you, don’t despair. You can get oral hygiene gels or cat dental chews which are also effective at stopping the build up of plaque. It’s best to start this when your cat is a kitten. Also, there will be a veterinary nurse at your veterinary practice who can give you a practical demonstration if you are not confident. At first, just put some cat toothpaste on your finger and let your kitty lick it off. Do this once a day for a few days so they can get used to the flavor and the texture of the toothpaste. Don’t put your finger in your cat’s mouth though because you’ll get bitten! It’s best to designate a particular time each day for tooth brushing so your cat knows what to expect. It needs to be a time when you are both relaxed and your house is quiet and calm. Position yourself so your cat’s back is towards you as they find this less confrontational and they cannot back away. They may try to push you away with their paws so you may need another adult to help you hold them. However, the best approach is to get your cat used to the process gradually and not to restrain them. It may help if you talk to them calmly and offer them a reward afterward. The aim is for them to trust the toothbrush and to like the toothpaste so no reward is needed. Grooming is not just about looking good. It’s also an ideal opportunity to carry out some critical health checks. A daily quick check is fine but once a month your kitty needs a more thorough health check. Here are some pointers for what you should look out for. Look for dirt that has got stuck in the ear, a build up of wax or debris and inflammation. You should also be able to spot ear mites and any lumps and bumps or scaling. If you notice anything unusual or if the ears have an unpleasant odor it is time to get them checked out. Are your cat’s eyes clear and bright? Look out for swelling, redness or discharge. This could be a sign of an infection and needs to be investigated by your vet. Your cat’s nose should be moist and smooth if your cat is healthy. If there are any lumps, bumps or swelling it indicates a problem. Nose discharge is a sign of an infection. The teeth should be clean and white. Your cat’s gums should be pink and there should be no swelling or bleeding. If you can see further into the mouth, check that there are no ulcers or lumps. If their breath is unpleasant, it can indicate gum or dental disease and needs to be checked out by a vet. The condition of a cat’s coat tells you a lot about their health. It should be shiny and thick. Any loss of condition or patches of hair loss needs to be investigated. There are multiple causes for a loss of coat condition including infection, illness, allergies and stress. Your vet will be able to make a diagnosis. If the claws are too long, they will need to be trimmed. Also look out for sores if the claws have been pulled out. The soft pads of the paws should be plump and smooth. Your cat should breathe effortlessly and you should not be able to hear wheezing or coughing. If breathing is labored, you need to see your vet straight away. Your cat should move effortlessly using all four limbs. If there are any changes in the way they move, it can indicate stiffness and pain and needs to be checked out. That’s the ultimate grooming guide with all you need to know to keep your cat healthy, happy and looking their best. Remember, your vet can advise you further if you have specific concerns about grooming your kitty.